GoogleThe Google Play Movies Android app running on Chrome OS. At its I/O developers conference last month, Google announced that the Google Play app store would soon be available on its set of Chromebook laptops. Today, that plan is starting to come to fruition. As noted by Google’s François Beaufort, anyone with an Asus Chromebook Flip can now access the Play Store, and the millions of Android apps within it, by switching to Chrome OS’s developer channel. Beaufort says other devices will follow with the update “very soon.” Last month Google noted that Acer’s Chromebook R11 (C738T) and its own Chromebook Pixel (2015) would also be in the first wave of Google Play-enabled Chromebooks, so expect those to gain the functionality before long. Several other Chromebooks are scheduled to get access later in the year. 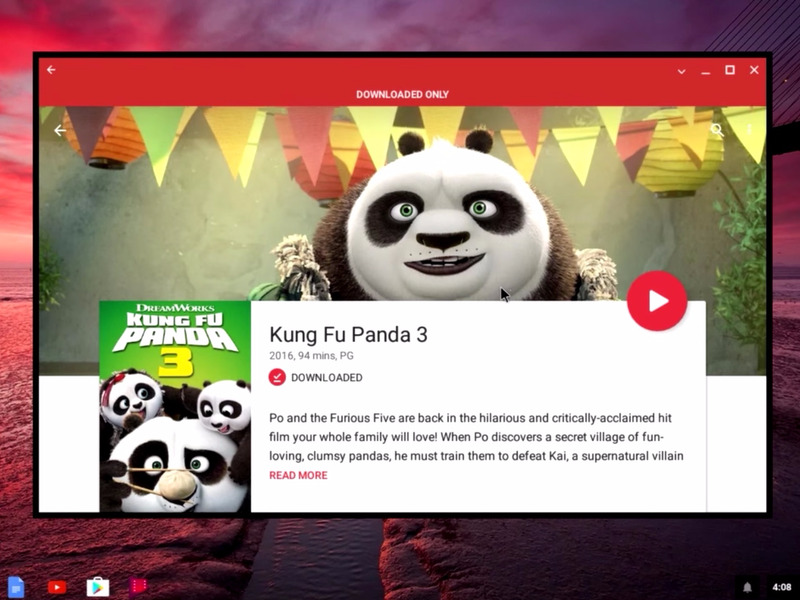 As you can guess, the developer channel is meant for developers, so ordinary users will have to dig into the “About Chrome OS” part of the Settings menu (and reboot their computers) to access the store. The update suggests that a full consumer release isn’t far behind. Google was not immediately available to comment on a potential timeframe. The move to support Android apps marks a major milestone for Chromebooks. Chrome OS has often been derided for being little more than an extended web browser; being able to natively run a wide array of games and apps, many of which work offline, would seem to put Chromebooks much closer to their Windows or Mac rivals in terms of overall functionality. This is particularly appealing since many Chromebooks can be had for as low as $250 (and since most cheap Windows laptops are slower by comparison). If everything works smoothly, it could make buying a new laptop much less of a burden on many people’s wallets.